I’ve been working on a program called AIM. It has been six months in the making. Over the next three blogs, I will be sharing a high-level overview of my program. A – Stands for Aspire. Aspiration is the starting point of taking your dream and conceptualizing it. By doing so, you’ll articulate and describe it like it is right in front of you. You should paint the picture and vividly describe what it looks and feels like. I – stands for intentionality. Being intentional is key to your ability to achieve your goal. Intentionality helps raise awareness and pushes you to do something about it. M – Stands for making it happen. It means creating the plan to detail how you will go about achieving your dream. It is the step to create the plan. A plan that will guide you through the process, you’ll use it to track progress and adjust accordingly. To aspire, you need to be able to describe your dream. There must this burning desire to want to make it happen. This must be something that motivates you to get up in the morning and get started with your day. Step one is reflecting on all the things that transpired during the week. During this step, take account of everything that happened during the week, both good and situations that did not go well. Step two is to write down each of one the situations. Try to describe and elaborate the situation, including the wins and room for improvements. This step forces you to commit all the things that happened to you to their physical state. Step three is categorize and group them. This is relevant because it enables you to come up with solution or action items and address all possible issues. Step four defines a way forward for each of the situations in which it did not go well. Highlight how you can improve upon the situation. What could you have done differently? Step five is step back and try to see the situation in a third-party perspective. By doing so, you’ll be forced to grow and develop, to be objective in evaluating your situation. 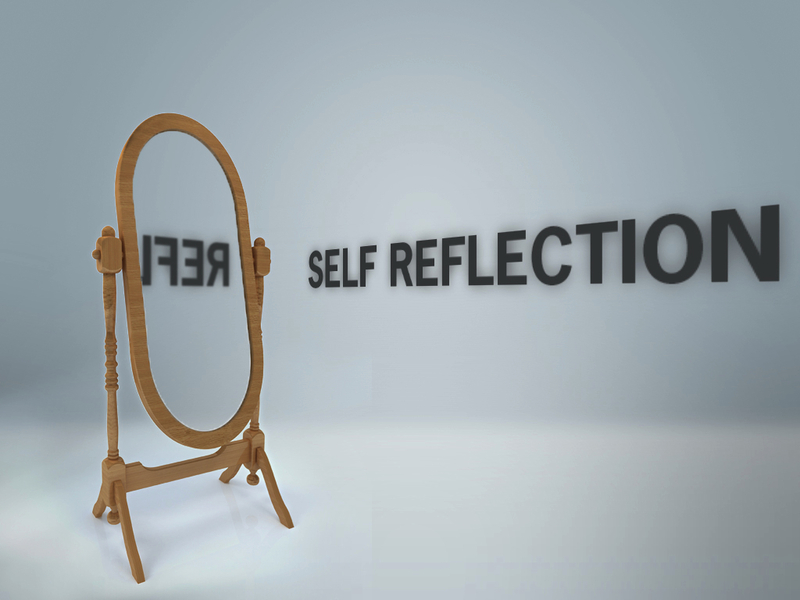 Practicing self-reflection is key to your ability to assess your situation. This practice is key to your growth and development. Without operating outside of our comfort zone, we will not be challenged to step up and address the things that are preventing us from achieving our dream. To close, on my next blog, I’ll focus on intentionality. Let me know what you think of my blog. If you like it, share it to someone you know who will benefit from reading it. Great thinking Will! I like the acronym of “AIM”: Aspire, Intentionality and Making it Happen. So, not only did you knock out another blog post, but you also have started promoting your AIM program- it sounds like you have had a good week! I’m looking forward to talking with you tonight at 6:30 p.m.